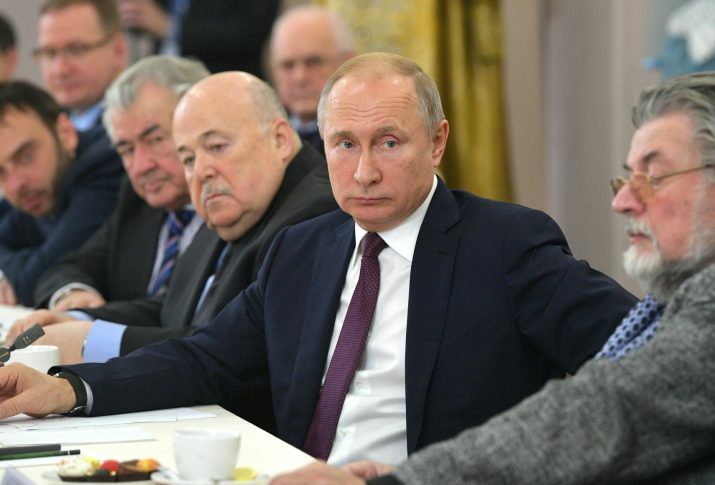 45% of Russians believe that their country is moving in the wrong direction, and 34% of Russian citizens do not approve of the work of Russian President Vladimir Putin. This is evidenced by data from a sociological study conducted in January 2019 by the Russian analytical Levada Center. Thus, 42% of the polled Russians consider that the country is going “in the right direction”, and 13% were not able to assess the directoin of the Russian Federation. It is further noted that the number of those who disagree with the course of the Russian authorities has reached a maximum since 2006. The work of President Putin is “generally approved” by 64% of respondents, and 34% do not approve. For comparison, 80% of Russian citizens approved President Putin’s activities a year ago in January 2018, while 18% did not approve it. The Levada Center reports that the survey was conducted on January 25–31, 2019, on a representative all-Russian sample of urban and rural population of 1600 people aged 18 years and older in 136 localities of 52 constituent entities of the Russian Federation. The study is conducted at the respondent’s home using a personal interview method. Earlier, sociologists at the Levada Center recorded a sharp increase in the number of Russians who are expecting a war with a neighboring country in 2019.